The beginnings of the Templar Order are shrouded in mystery. Very little is known about its foundation, inner workings or its rapid growth. This lack of knowledge can lead to all sorts of speculation and, sometimes, bizarre theories. This book - developed from a conference held on the theme at Emerson College, England - offers new, well-grounded perspectives that utilize both esoteric and exoteric sources. From varying points-of-view, the contributors tackle key questions relating to the forming of the Order and its aims and intentions. 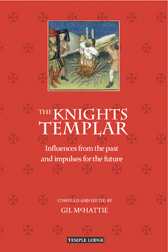 They explore the Knights Templar's spiritual and historical background, as well as the Order's significance at the present time and its continuing impulse in the future. With its broad scope, this stimulating anthology encourages independent, open-minded enquiry and research. Featuring contributions by: Peter Tradowsky, Gil McHattie, Horst Biehl, Margaret Jonas, Rolf Speckner, Sylvia Francke, Simon Cade-Williams, Jaap van der Haar, Alfred Kon, David Lenker, Peter Snow, Christine Gruwez, Frans Lutters, Walter Johannes Stein and Siegfried Rudel. GIL MCHATTIE spent many years as a deputy head teacher in a school for children and young people with special needs. She then undertook trainings in counselling and in facilitation of Biography Group Work at the Centre for Social Development. She gives lectures and workshops on various themes, and has had a lifelong interest in ancient and medieval history. She is especially interested in the figure of Bernard of Clairvaux.